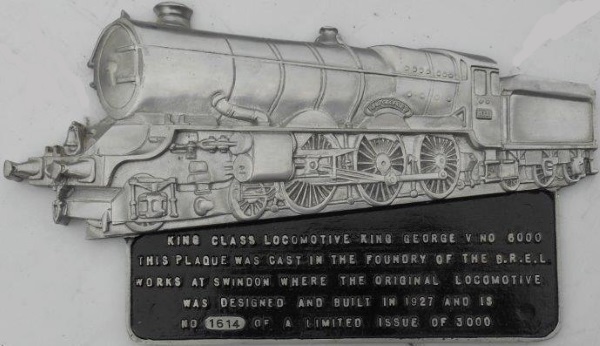 Lot 116 An alloy commemorative KING GEORGE V LOCOMOTIVE PLAQUE No 1614 of 3000. These were made in Swindon Works with scrap alloy from parts removed from the original locos. In good condition.